Medicom’s Be@rbrick series returns for it’s 22nd run of blind-boxed figures, and as always there’s plenty for collectors to get excited about. 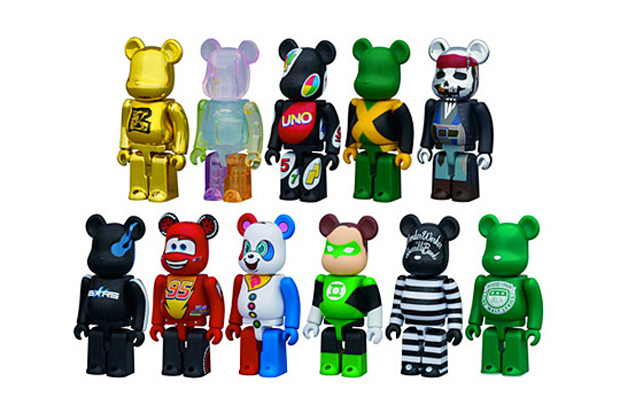 The new series features Be@rbricks inspired by the Green Lantern, Disney Pixar’s Cars, Uno, and House of Pain Amongst others. You’ll also want to keep an eye out for some of the hidden designs, which include a multi-coloured BAPE camo, a BOY London Be@rbrick, and an alternate colourway of the recent Happy Socks collaboration design. Series 22 is now available from Medicom stockists, including Wellgosh. I want the House of Pain one! Any UK sellers or do I have to go via eBay and Hong Kong?